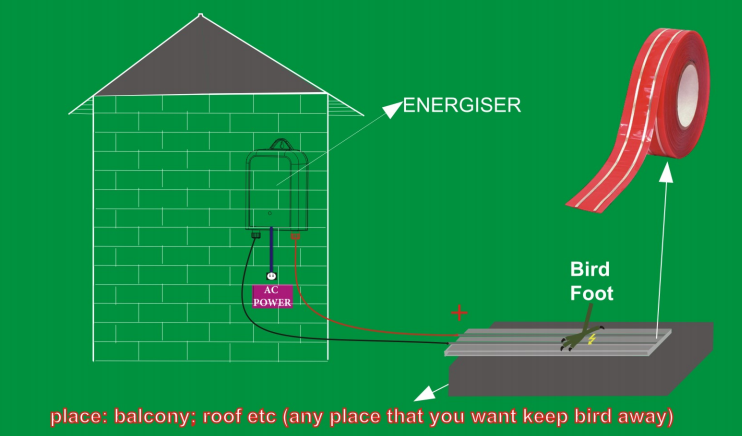 Electric shock-tape bird deterrent systems incorporate the latest in technologies ensuring excellent pest bird control.The system is 100% effective against all birds and will deter birds for years to come. Shock pluses condition all birds to fear the tape.The bird has a small body mass and is easily distributed by the sting passing through its foot or body.Their patterns change immediately.They do not like to be zapped. 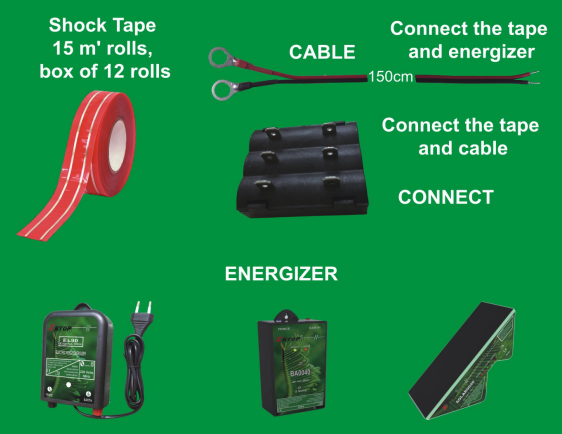 The systems only need the shock-tape and energizer.you can find our energizer to match them. Surfaces must be DRY,OIL FREE,DUST FREE and UNIFIED/STABILE for proper adhesion. Dry-Insure all surfaces are dry. Oil free-use a 50:50 mixture of isopropyl alcohol and water.Isopropyl alcohol is rubbing alcohol .Glass cleaning and oil based cleaning solutions are not acceptable.For cleaning heavily oiled surfaces,a citrus based degreaing agent should be used.Follow up with isopropy alcohol:water mixture and dry surface. Dust free-remnants of bird manure must be thoroughly removed. Unified/stable-be cautious of loose surfaces like soft stone,poured concrete,rustes metal and bare wood.Remive all loose material.Use caulk under tape,or seal surface where tape will be applied with an acrylic sealant,or attach narrow metal strips over the surface and bond tape to them. *DO NOT tear shock-tape acrylic film top when applying to metal surfaces. *Prevent arcing on metal surfaces,trim flat wires at ends of tapes. 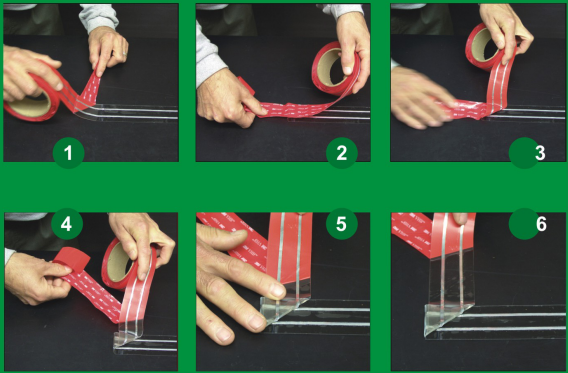 Make corners without having to cut tape.By folding the tape twice,corners of angles up to 120 degrees can be made very quickly. In the photos above,the res liner remains on to show how the wires are double insulated from each other when they do cross. Looking for ideal Harmless Electrical Shock Tape Manufacturer & supplier ? We have a wide selection at great prices to help you get creative. All the Electric Shock-tape Bird Deterrent System are quality guaranteed. We are China Origin Factory of Balcony Bird Shock Tape. If you have any question, please feel free to contact us.